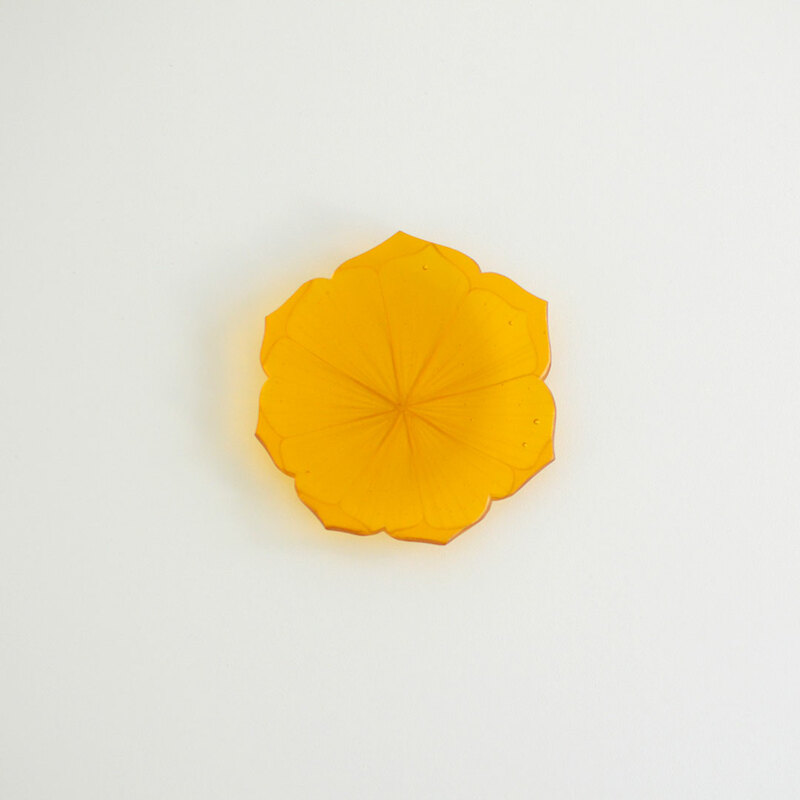 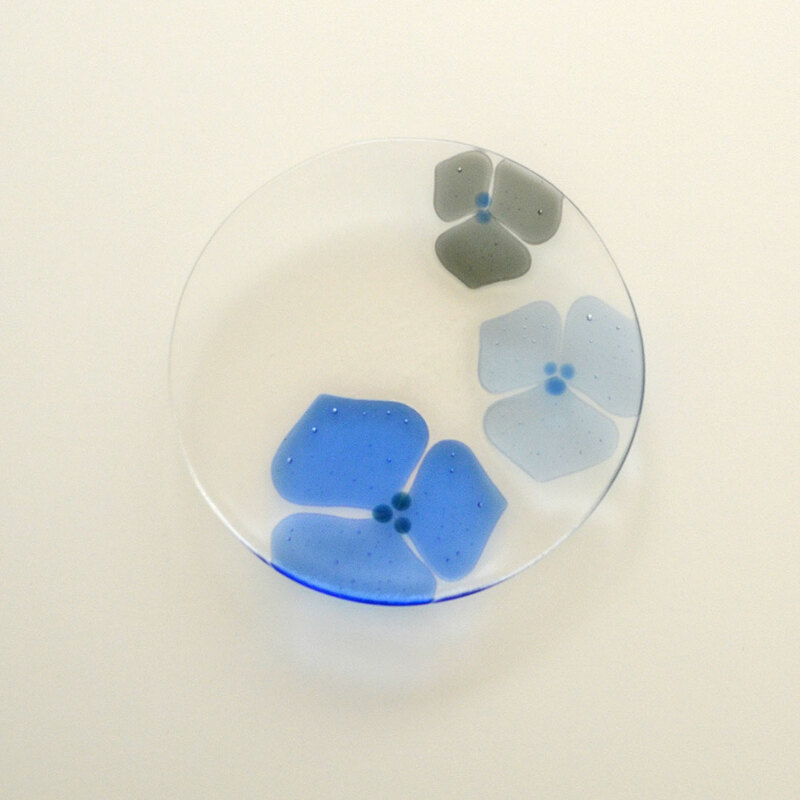 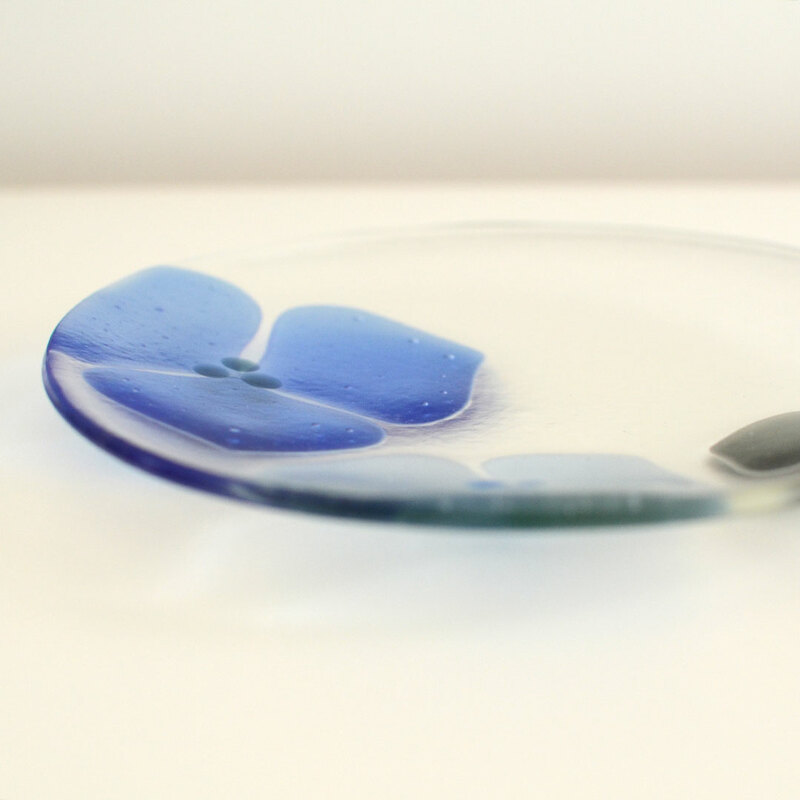 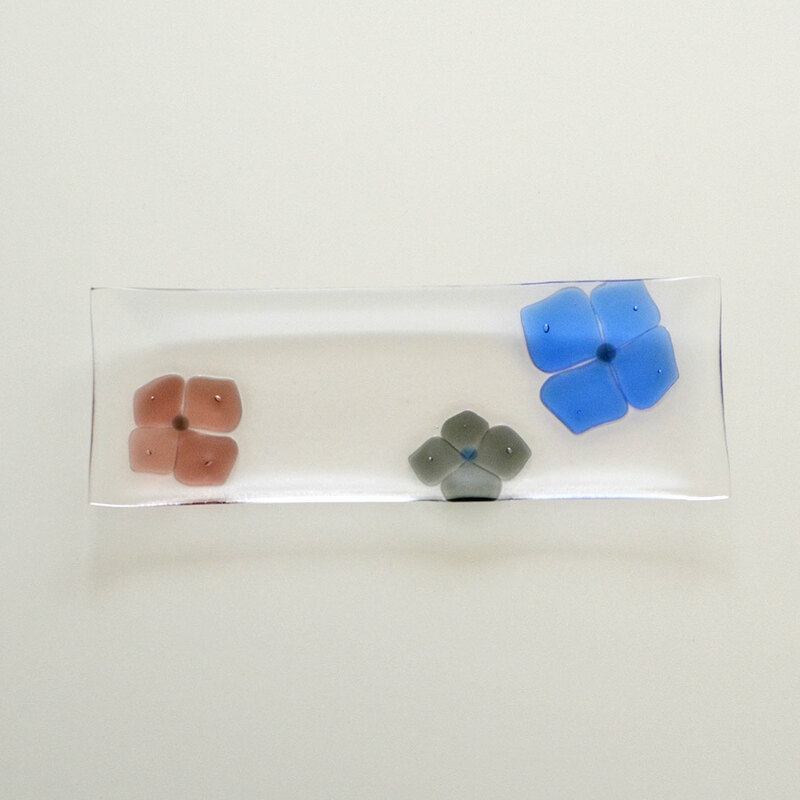 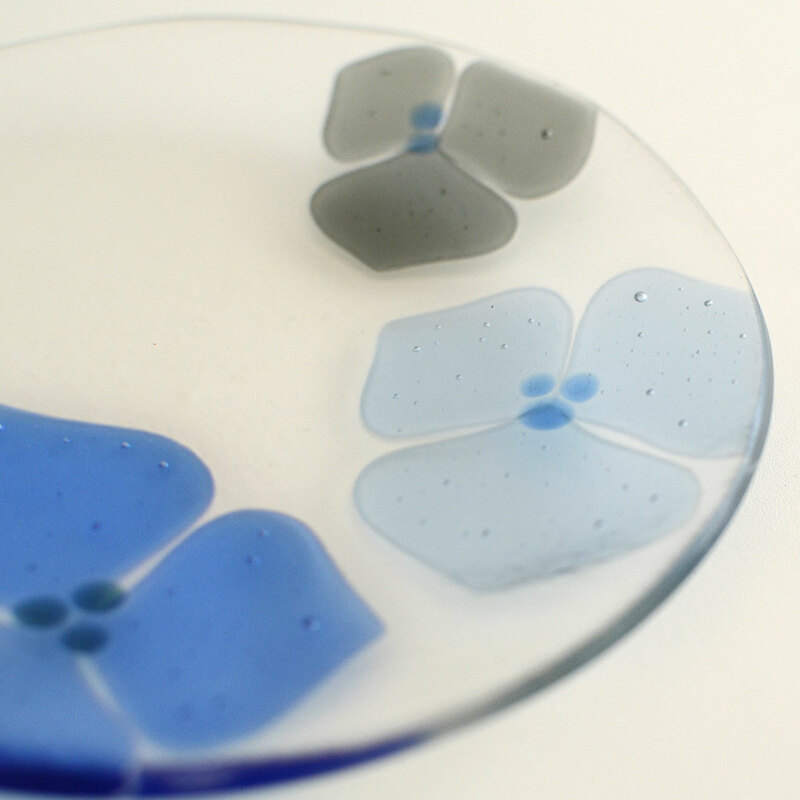 SKU: G-SS-003 Categories: Sasaki Shoko, Medium Plates 5"-8" Tag: plate 5"-8"
Sasaki Shoko is a Tokyo-based artist who applies her considerable artistic talents to creating beautiful and cheerful kiln-formed glass plates featuring flower blooms. 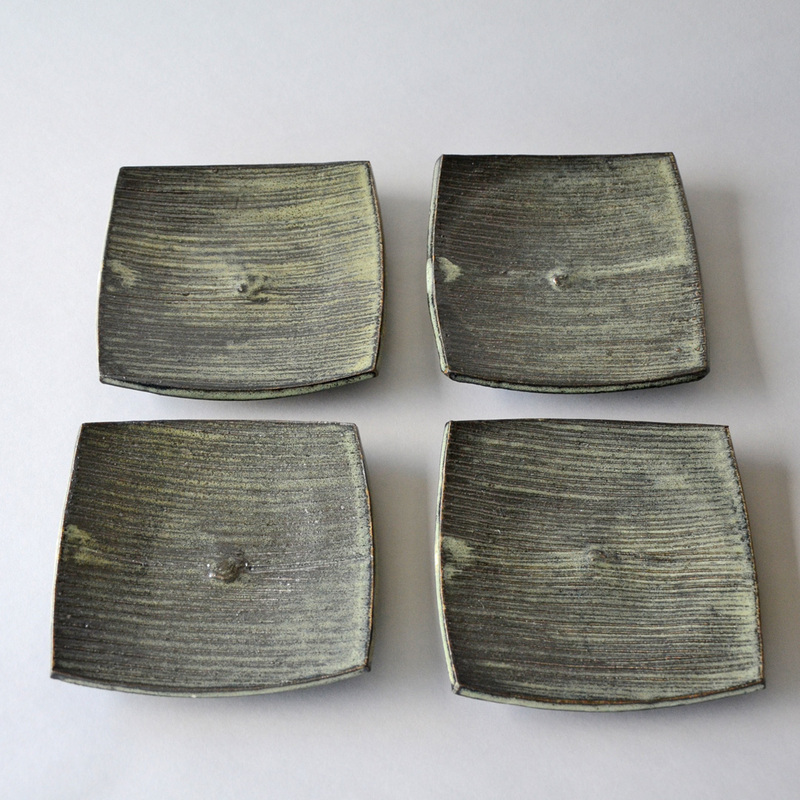 Shoko cuts, layers, sandblasts, fires and refires the raw materials to precise temperatures in the kiln to fuse them together and to slump them to shape. 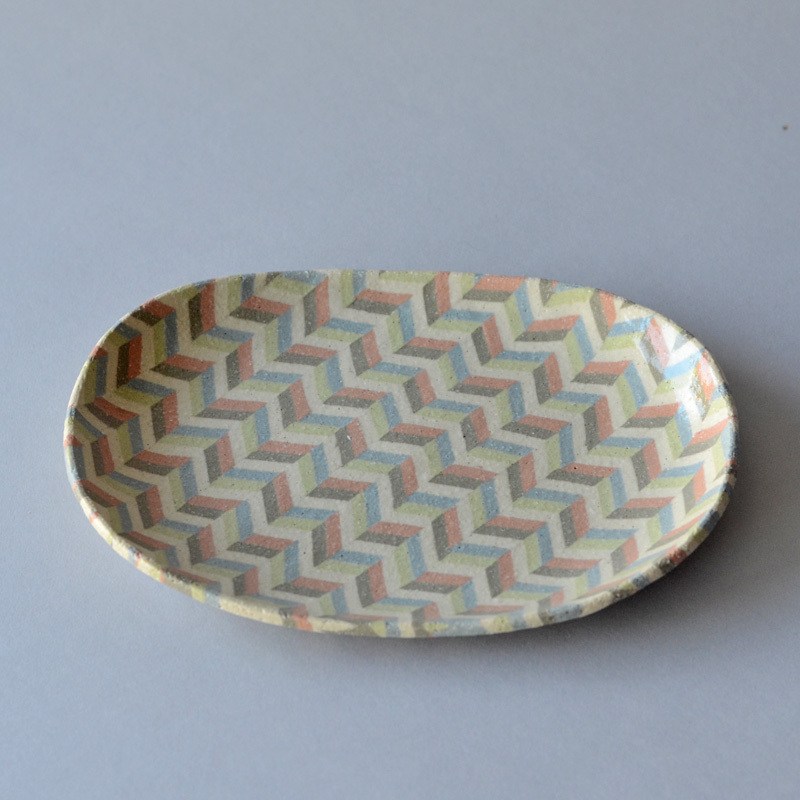 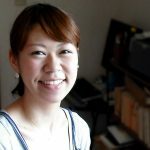 While using the glass from Bullseye Glass in the United States, she expresses a color palette that is uniquely Japanese, from muted violet, to crimson and gray.